2018 Middle of North Texas Thread! I think I’m going to make the journey out this coming weekend. Forecast is rain everyday through Friday. Solid chance I get stuck on my way into the cabin. I’ve been checking the forecast for a few days and it should clear up sometime Friday. High of 64 and low of 45 all weekend. You guys are getting it done in OK! Been pretty lucky so far but all this green growing it’s about to get slow I’m afraid! Rancher just sent me a text message. Said not to even bother coming up this weekend. Pastures are flooded and it's raining hard now. Dang it. Oh well. Going to Wyoming for duck / goose hunt next week. Maybe it'll dry out enough over the next couple of weeks. Good luck to all that can get in the pastures. Has anyone used this site before? There’s a chart with rainfall for the past week. I’m assuming that’s total rainfall of approx. 3”. Or does that mean it was 3” that particular day? Since the line graph has not receded but stayed constant or moved up, I’m thinking that’s total rainfall. Wilbarger County. Northeast of Vernon on the river, SW of Vernon between Lockett and Crowell, and just west of Electra. He said all our pastures are pretty sloppy. Dang, we hunt very close to all of those, sw of electra and just south of thalia. It could easily be either the past 3 weeks! We got 2 inches today without a heavy down poor. Need to dry up to get fields planted! The site was way to complicated for me. I’m a good ways from Vernon. My uncle and some other guys I knew hunted up there until last year. 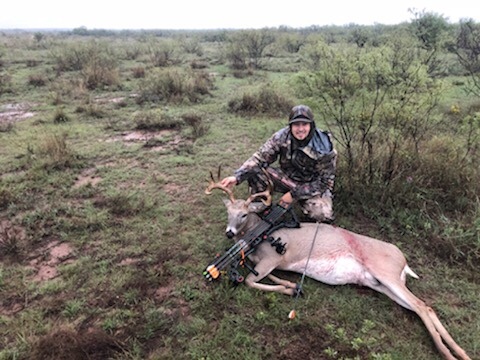 Said it was good hunting but I’ve never been. Whatever the rainfall total is, it doesn’t matter much. I’m already packed up and heading to the lease tomorrow. It is what is. I hope some of you boys braved the mud, it is some kind of beautiful out here today. That slight North wind is nice! Raither be sitting/napping in a blind with the cool breeze hitting me in the face. Dried up quickly though. Friday evening was slicker than all get out. This afternoon was relatively dry compared to all the rain. Good weekend of hunting for us. One guy shot two pigs, I shot a 150ish boar but the rage didn’t get but 3” of penetration. 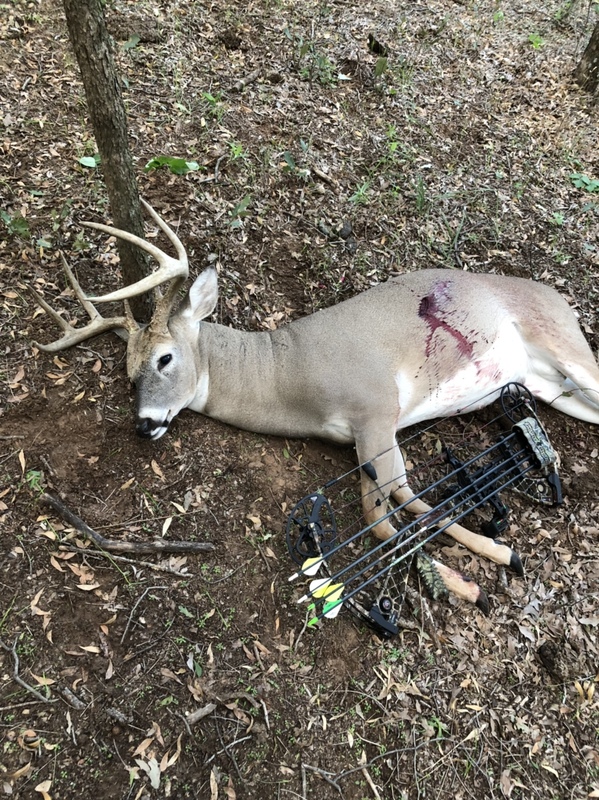 I’m blaming the broadhead but better shot placement would have helped. 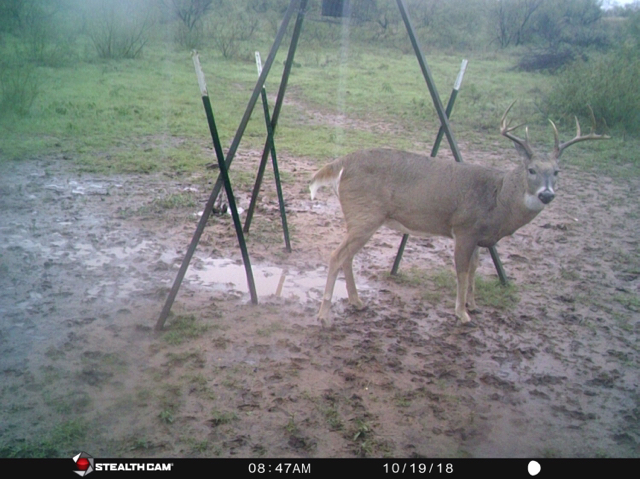 Got some 3-4 shooter bucks coming in regularly. I still had a few young bucks running in groups. Spike and 7 point. Both 2-3 years old. I’m hunting west of Vernon and made it to the lease about 1:00pm on Saturday. It was still pretty sloppy in some spots and all the dry creeks have water moving through them. Ended up shooting a doe last night and working on projects this morning. Saw a few deer moving around 9 this morning. I played there last year, that is a really neat course. Congratulations! I love those big bodied deer. Post up a link to the tourney or some photos please. 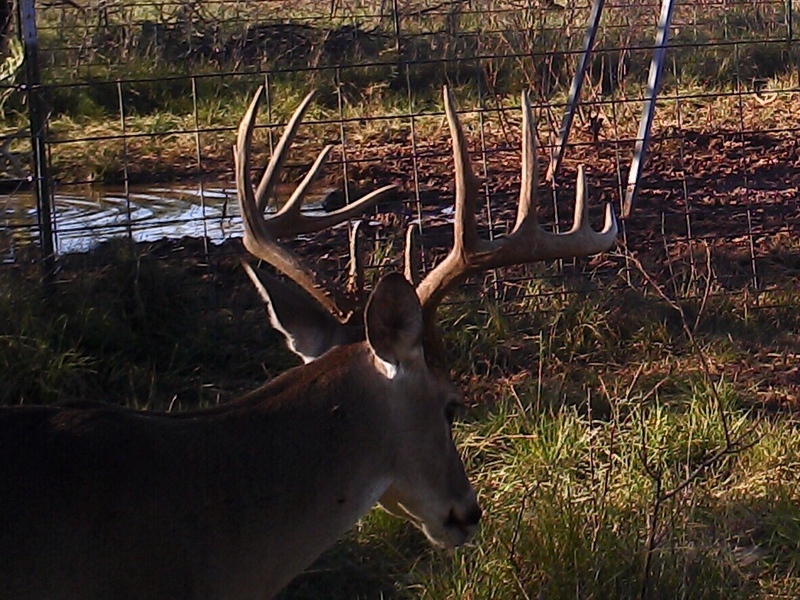 When does Ol’Bucky get to see some action at the lease? 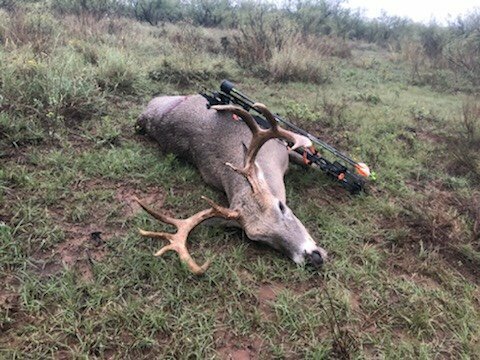 Got another big body bruiser on the ground this morning across the red!! What a pig of a deer! Congratulations. What are the field dressed weights of those Okie fattys? Big ole brusier there. 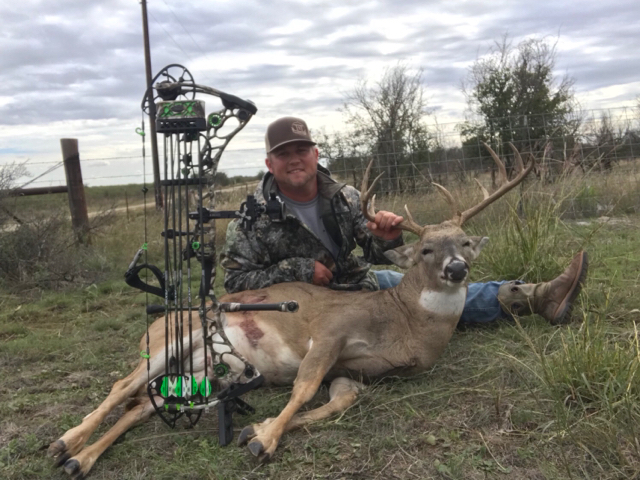 Congrats to the hunter. Couple guys have some weird schedules I will say that lol !! It was super slick all weekend @ our lease in Throckmorton Co. It was beautiful conditions that disappointed me. Had LOTS of pigs around but very few deer. Had approx. 30 of them come through and near my set on Saturday morning, approx. 29 left. Time to get packing for youth weekend. I’m probably going out this weekend for the first hunt of the year. NE of Throckmorton, just west of Keeter Lake. How wet is it around Rule and Aspermont areas? Wet would be an understatement right now. Farmlogs said we got 0.9" yesterday in Murray. If everything shakes out, we are heading out this evening and hunting in the morning. I made it out for the weekend. Sittin in the 80 acre blind. 76, 3-4 mph breeze. Prolly could care less if ole Ned comes by! Just great to be out. Need a cage on my feeder here. Dang wood peckers are landing on the motor ans stealing corn. In between the rainstorms, Baylor Co. Saw 5 bucks and 1 doe. Nothing special. What was special was not 1 skeeter. Never woulda thought that. Saw 14 different bucks this weekend in Throck. Young bucks were starting work a few scrapes and try to push does around. Had this guy well within range but he gets a pass for another year. 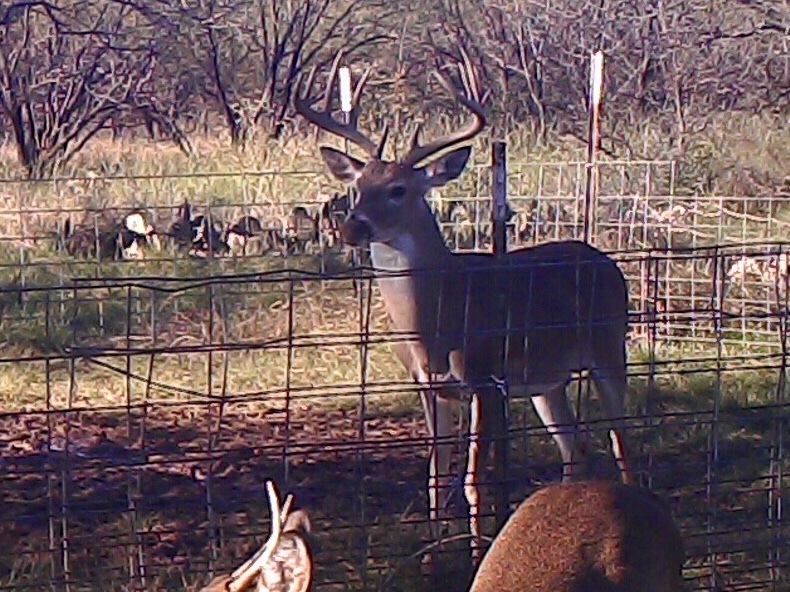 Saw another lg 8 point that may get whacked. Went out for a long weekend finally. Saw 38 bucks. Most were 1-3 year olds. Saw 3 mature deer. 135-140 type deer. 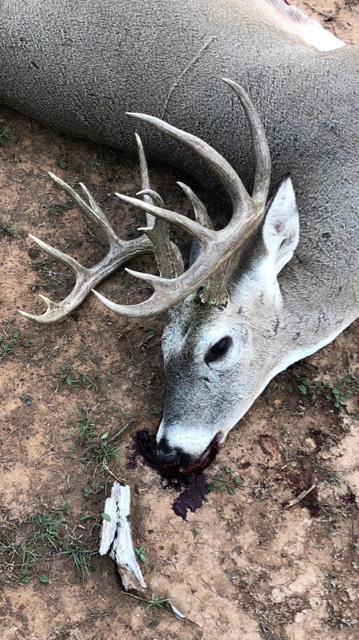 One cull 4 point that had a 12-14 inch dagger on one side. Only saw 9 doe. There were very few skeeters too ! Only thing I killed was 2 older folding bag chairs that were rotten. Fell thru both rolled out like the athlete I used to be and sat in the mud for 2 hours! Had 6 deer within 7 yards of me which was really cool to me. All the pics are with my cell phone. After shrinking the size the quality went to heck! Filled most the feeders changed the times to work next week. Lots of fun. We are supposed to get our fields planted this week!!! That will be huge for us. Last edited by Abcdj; 10-29-2018 at 11:57 AM. I'm heading to my place in Cottle Co Wed after work. Nobody has been there since we filled feeders back in September. I'm really looking forward to going and being able to go finally. Bowhuntertex, during the drought the first year I had 0 fawns on camera, and did not see any all season, and very few the next year, and I imagine the yotes took most of them out. We could drive down the back roads and see deer and cows laying dead in the fields, it was crazy. I am hoping to see the mature age class back like it used to be. 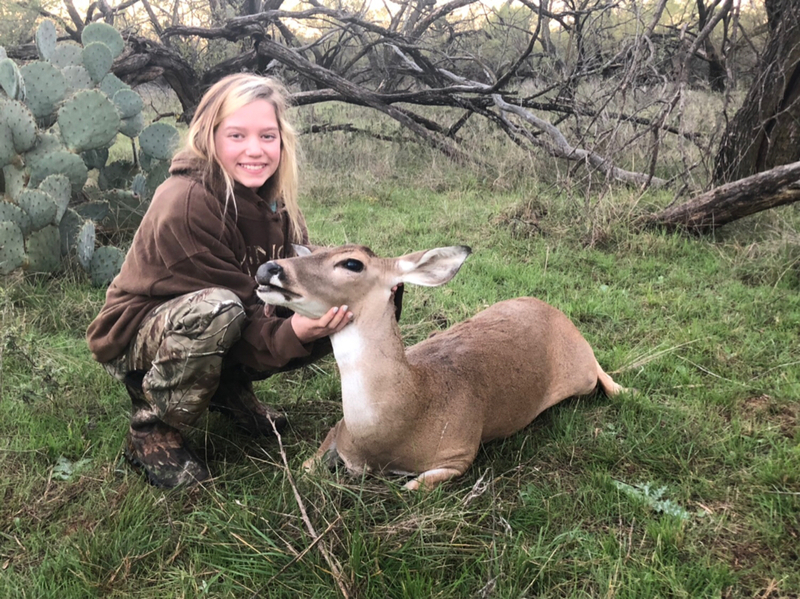 My daughter got her first and second deer, ever, both on Saturday. I’m tickled as can be. 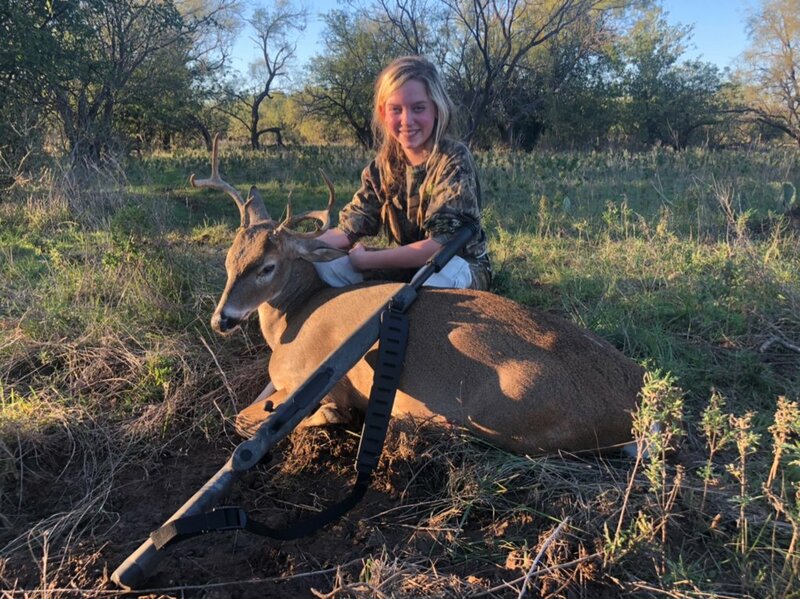 Congrats to both huntress and proud dad!